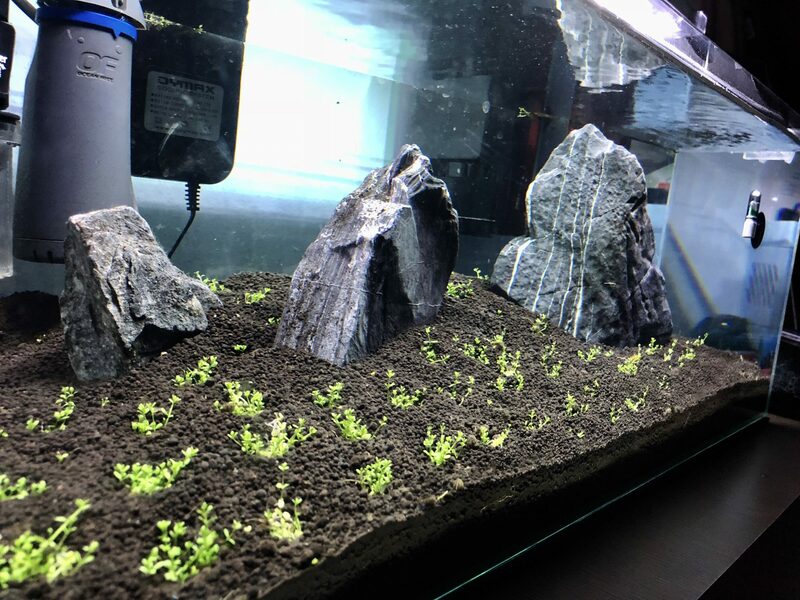 One of the biggest discovery in my journey of keeping planted tank was the benefits of running CO2 24/7 with an air stone running 24/7 as well. Not only was the tanks algae free, the water was crystal clear and the fishes were significantly more active. 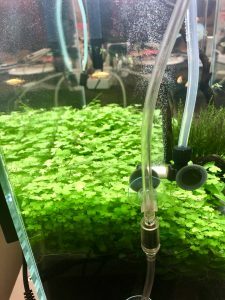 A year back, I was having a difficult time dealing with Blue Green Algae in my Cube tank. 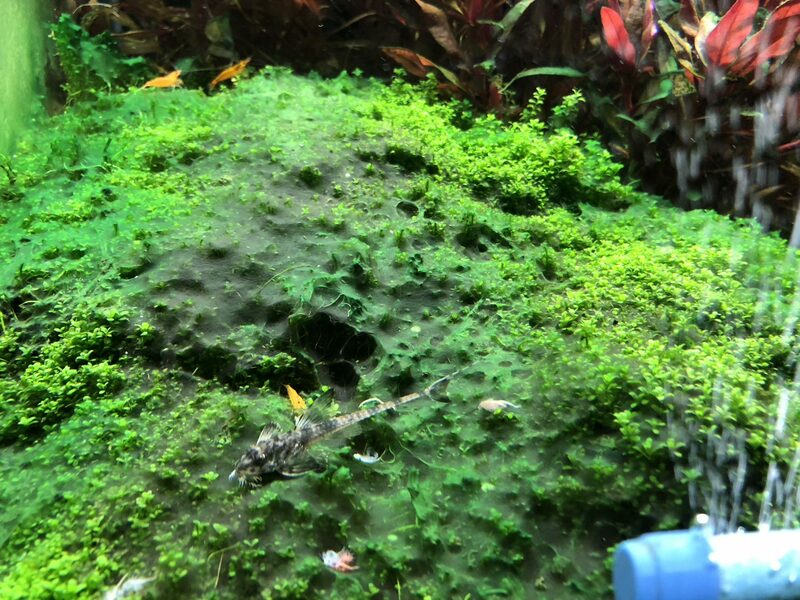 After eliminating the BGA and all sorts of algae problems, they some how reappeared again and again after treatments. 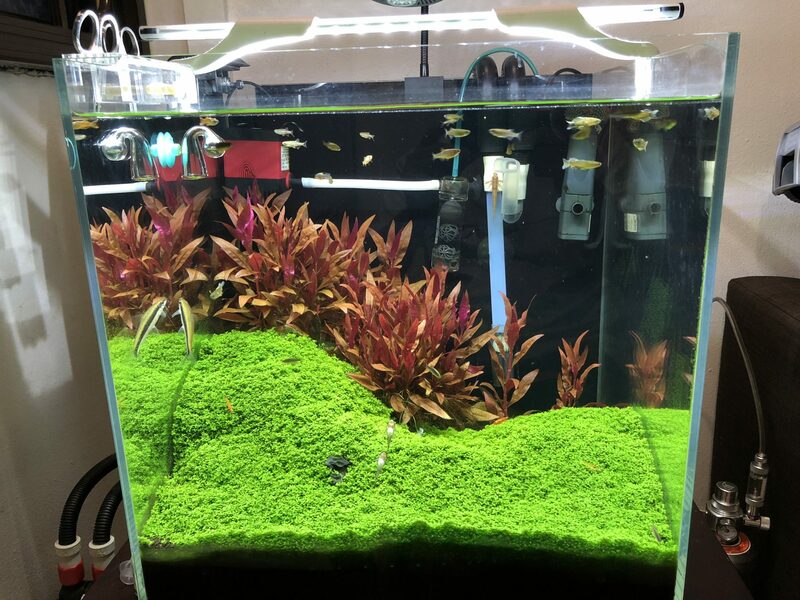 Tank after running CO2 24/7 with air tube. The final attempt I made was to run my CO2 24/7. 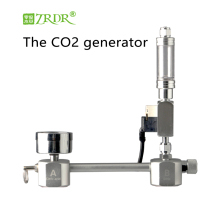 I wanted to eliminate the possibility of a CO2 deficiency as the main culprit to the problem. 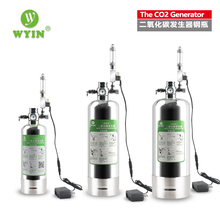 How can running CO2 24/7 have no impact on CO2 Consumption. Below are my logs on the CO2 consumption for my 3 tanks of various sizes, all running CO2 24/7. Noted: All my tanks runs on similar DIY CO2 high pressure reaction canister tank. 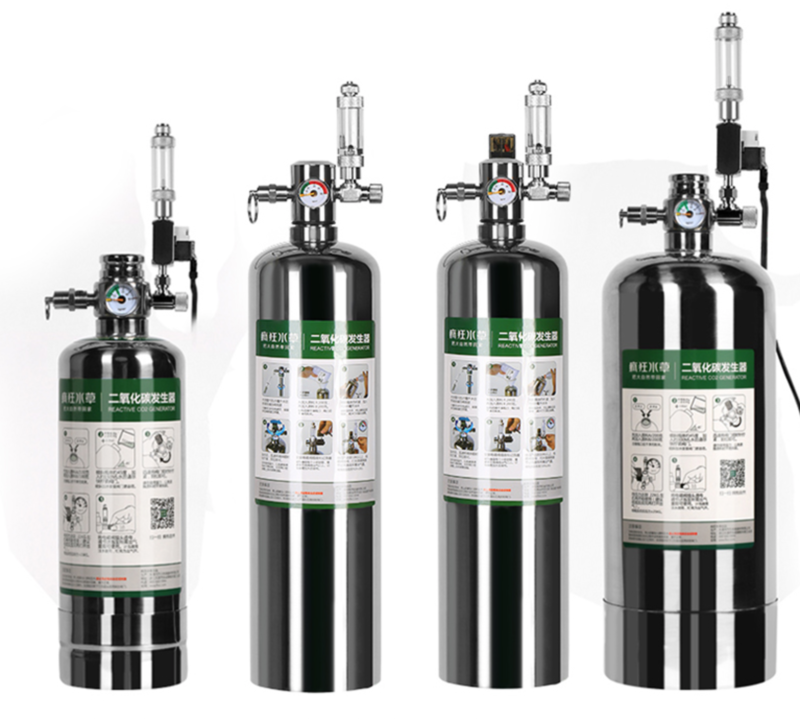 All canister tanks' capacity is 2L with 200g citric acid + 200g baking soda + 300ml water. As you can see from my log, the differences in CO2 consumption is not much different between running 10 hours per day and running 24/7. The reason is I am running a reduced rate when injecting for 24/7. 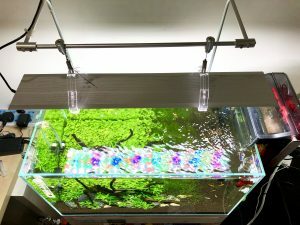 By running at a reduced injection rate, first, I eliminate the problem of gassing my fishes at night. Second, the same amount of CO2 can last just as long. 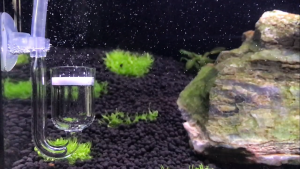 For my 75 gallon, I used to run about 4~6 bubble per second during photo-period. When injection 24/7, the injection rate was reduced to just 1.5 bps. 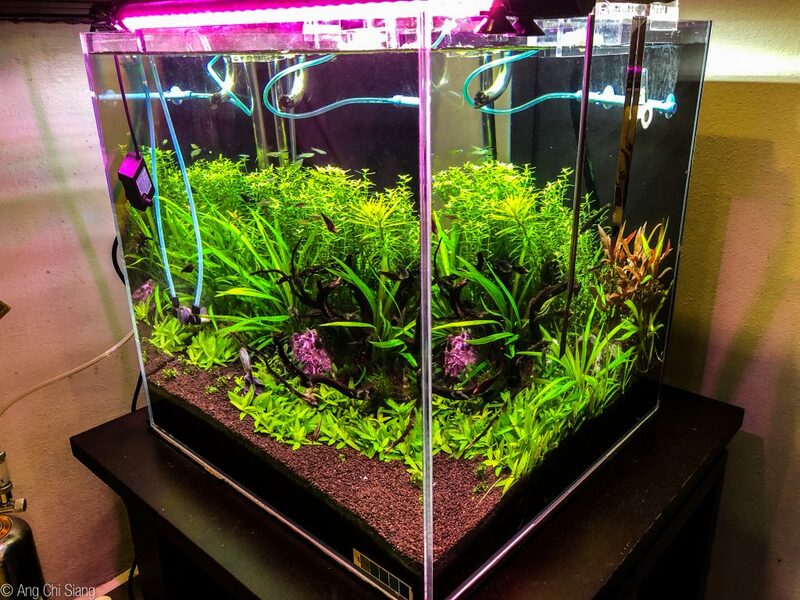 For my 24 gallon, I used to run about 2 bps during photo-period. Now I inject at just 0.5~1 bps. For my 11 gallon, I now run 0.5 bps instead of 1bps. Next thing that will come to mind is with a reduced injection rate, how can CO2 be at intended level? During the night, CO2 will build up since plants are not using them. Plants themselves and fishes contributed to CO2 as well. By morning the CO2 build-up is so high that my drop checkers are usually in the yellowish green. 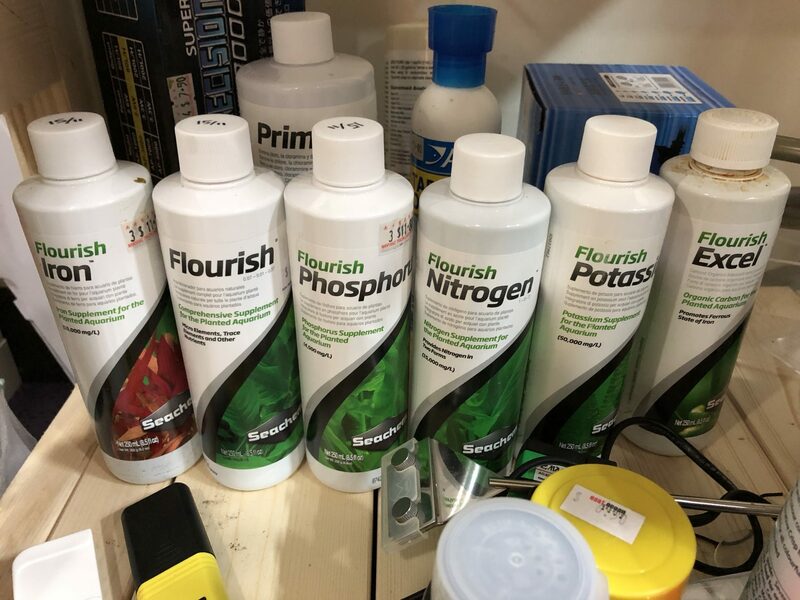 All these are ready to be used for photosynthesis the moment the lights comes on at full. Throughout the day the CO2 build-up will gradually be used up by plants, while at the same time small amount of CO2 injection kept the depletion gradual. By the end of 8 hours, the drop checkers were almost blue. Time for the lights to dim out. I dim to about 20% brightness for another 4 hours for viewing purposes. 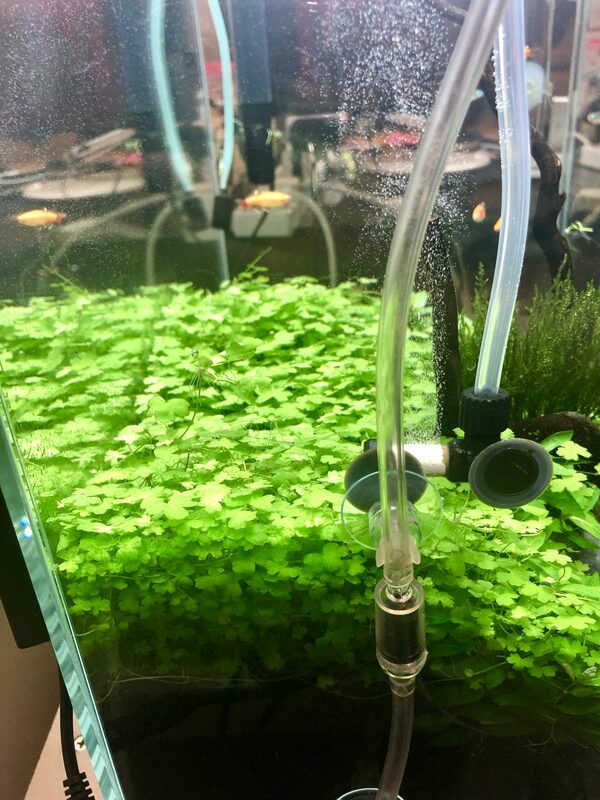 When I was switching to injecting CO2 24/7, I also added air stones to all my tanks as an “Insurance” in case my fishes got gassed out. I realised that with or without the air stones my fishes were fine. 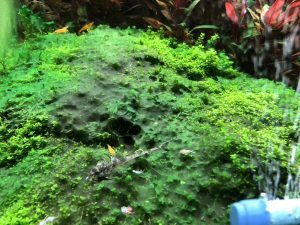 However, through this experiment I also discovered that my 75 gallon tank which did not have any surface skimmer or much surface agitation has a crystal clear water surface! It used to have mineral films on the water surface but it is now clean and void of surface deposits! Another discovery was the water became crystal clear! Although this did not happen overnight, but after a month or so, the water is crystal clear. I believe this is due to the fact that the water now is very aerated. Another discovery was that the pH level of the water is more stable when running CO2 24/7 when compared to 10 hours of injection. I attributed this to the fact that CO2 constantly on and the build-up of CO2 and depletion of CO2 is more gradual, and hence the pH fluctuation is also more gradual. The starting and stopping of CO2 injection prior to lights on and an hour prior to lights out also tend to have higher pH swing in water. And you will also need to time your injection timing perfectly with photo-period and CO2 usage. One of my biggest pain is the solenoid. 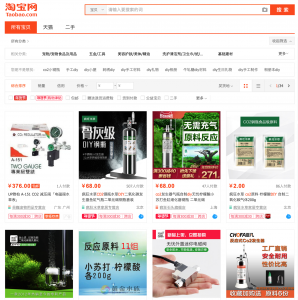 It is not only expensive, takes up a precious electrical socket in a world where socket space is precious, it is also the weakest link in the entire CO2 system. How often do you hear people complain about having their fishes gassed due to a failed solenoid. When you inject CO2 24/7, you can save yourself a solenoid, AND a timer, AND free up a socket space! Dennis Wong (Dennis Wong and Xiao Zhuang are the same person if you are wondering 😆) has a very nicely done up video on YouTube on this subject. And I think everyone interested in this subject should watch his YouTube Channel, particularly on this topic. You can also check out his website The 2 Hr Aquarist. There’s tons of stuffs that I learned alot from.